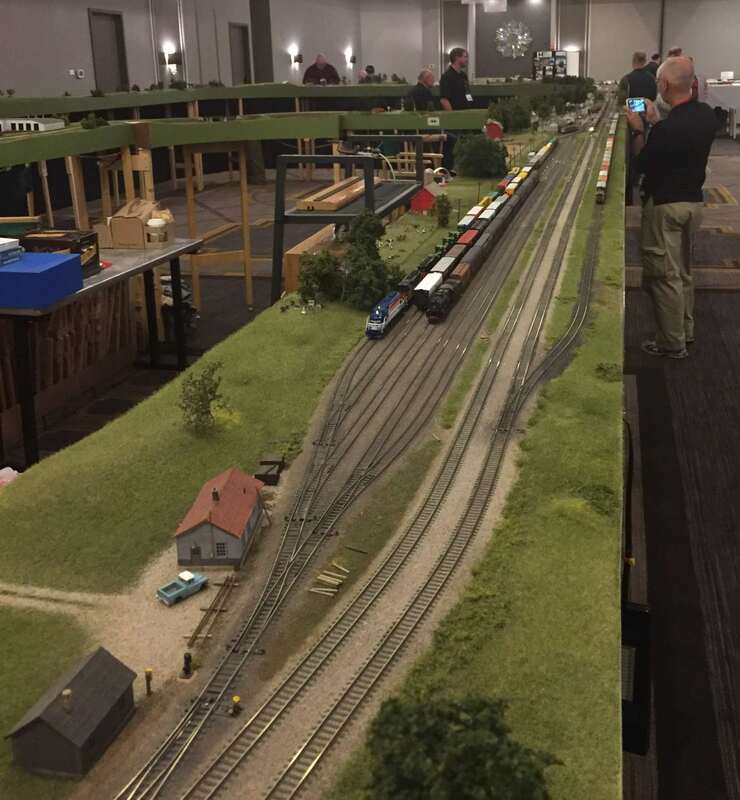 Part of the busy HO scale Mod-U-Trak layout. 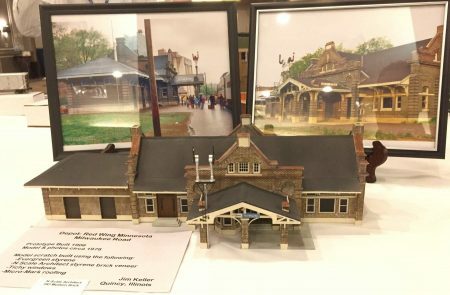 HO and N scale modular layouts were running through the days and models from many scales and eras were on display. The seminar presentations covered a variety of prototype and modeling topics, as well as layout design ideas and dreams. Jim Keller displayed this scratchbuilt Red Wing depot. A string of HO scale Soo Line box cars illustrated paint and lettering schemes. Ken Soroos displayed the models and documentation. The Resin Car Works table was busy as the new UTLX X-3 tank car and Missouri Pacific box car kits were favorites of many attendees. 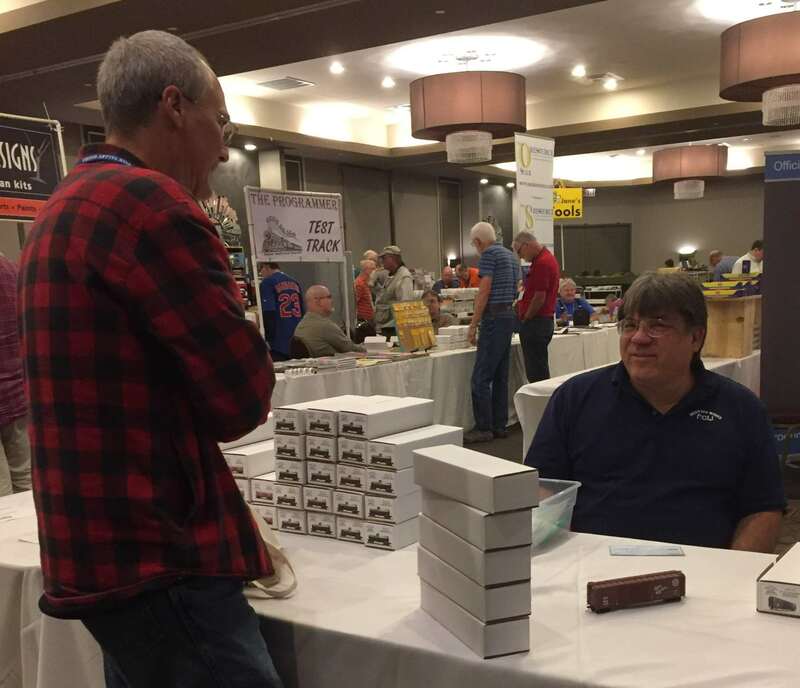 Main RCW minion Frank Hodina had a great time meeting modelers and renewing old friendships. 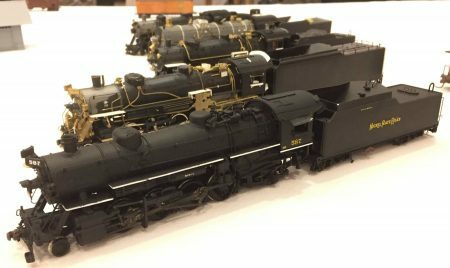 Ray Breyer displayed a number of projects, including these upgraded locos reflecting Nickel Plate Road prototypes. 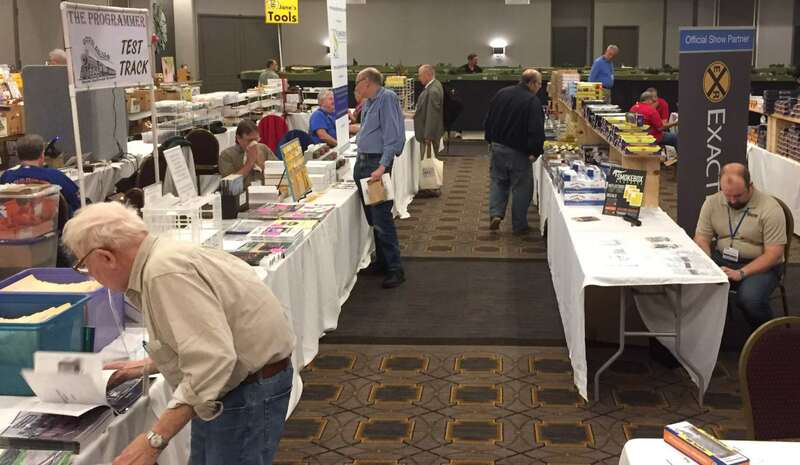 This is just one of the aisles in the vendor area and a wide variety of models, tools, kits, and publications were available to review and purchase. If you missed RPM Chicagoland, you’ll have another chance next October. There are several prototype modeler events ahead on the calendar. Make plans to attend one and take some models to display! Thank you. I have been very busy and hardly any time for modeling. It looks like it was a great time and well managed. I look forward to attending next year.